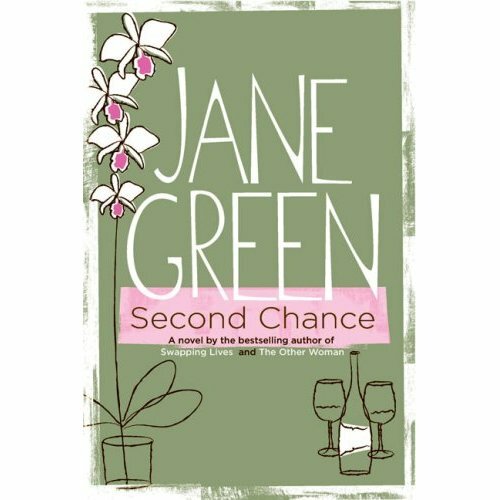 Recently I read Jane Green’s latest novel Second Chance in which she follows a group of friends after a tragedy. These are friends who have not seen each other in a decade, in most cases, but fall back into the easy rapport of past times when they reconnect. The death of Tom bonds them and keeps them moving forward with his memory strong in their heads and hearts. Green examines grief, loss and transition with wit and genuine characters. She always creates the type of characters to which one can relate on at least one level. There’s the couple who cannot conceive and desperately desire a child, the alcoholic film star, the single woman who finds herself unexpectedly pregnant and the woman who embarks on an affair to free herself from a marriage that has been over for years. Second Chance is a satisfying, easy summer read. I conducted this interview via email which is unusual, rare and needless to say, not my favorite mode of interviewing [in person, then phone, and as a last resort, feeding questions through a publicist]. I’ve done it a few times. I find it strange that Ms. Green would not comment on the fact that I lived in her current hometown of Westport, Conn., that I too am a journalist and that my brother lives in that area and has four children, including twin boys, just like her. Amy Steele [AS]: Jane, We have a few things in common: though you are successful and I am not quite yet. We are the same age. I lived in Westport, Conn. until my parents’ divorce when I was 8 years-old. I live in Boston now and grew up in a suburb outside Boston -my mom re-married about four years after her divorce. My brother lives in the Westport area and has four children, including a set of twins. I have a master’s in journalism and am trying to write a book-I just do not know whether to go the fiction or non-fiction route. AS: How did you make the transition from journalist to fiction writer? AS: Why do you tell stories? carry a message that I hope resonates with my readers. AS: What do you want readers to take from Second Chance? AS: What is the most difficult aspect of writing? JG: Discipline. As a single mother of four running the lives of small children, operating a household, having a career, there are always a million other things to be done, and it’s always so hard to focus solely on the writing. AS: What is the most rewarding aspect of writing books? JG: Going out on the road and meeting the readers, hearing their stories, and receiving their emails, all of which I read, even though I’m not able to respond personally anymore. AS: When is your favorite time/best time to write? JG: Mornings only, from my local library, and then it’s back home to be Mom. AS: How do you get your ideas? Do characters or story ideas come first? just able to draw on my life experience. AS: Why did you decide to focus on grief and loss? This entry was posted on July 13, 2007, 04:08 and is filed under Books, Interview. You can follow any responses to this entry through RSS 2.0. Both comments and pings are currently closed. Great interview! Jane probably missed the question because the first one might have run into the second. I’ve seen this happen before. Don’t take it personally. I’ll get Jane to run over here and comment if you’d like.